Make room in your feed for epic mountain vistas, adorable French bulldogs, and the famous San Francisco fog. We have taken it upon ourselves to curate an Instagram follow list for you. We picked our top five favorites in six categories. The best Instagram accounts are regularly updated but don't spam you with photos, show you parts of life you wouldn't often get to see, and are both beautiful and entertaining. This is some tough criteria, but the following Instagrammers know how to keep you wanting more. It's easy to poke fun at Instagrammers' love of latte art, but the photo-sharing network is a foodie's dream. @joythebaker: Dreamy shots of grilled cheese and cake from popular food blogger Joy the Baker. @sonyayu: San Francisco restaurant brunches mixed with adorable photos of the photographer's French bulldog in various outfits. @tartinegourmande: Picturesque dishes in the French countryside are a vision of the rustic life you've always wanted to lead. @thesmitten: Smitten Kitchen cookbook author shoots delicious dishes and New York City street scenes to complement her well-known blog. @jamieoliver: The famous chef offers behind-the-scenes videos with cooking techniques (plus pretty food photos). Explore the world with these five Instagram accounts. @drewkelly: Most of us will never go to North Korea, but Drew Kelly's photos offer a glimpse into the daily life in one of the world's most controversial countries. @jonessnowboards: Professional snowboarder Jeremy Jones shoots his adventures riding the world's most beautiful mountains. @passionpassport: Instagram users submit their own travel photos from around the world to the Passion Passport project. @alaskafromscratch: Serene nature snapshots from one Alaskan's daily life, interspersed with fresh Alaskan seafood photos. @bipolaire61: Penguins, ice caps, and igloos populate this Arctic Instagram. Some celebrities are terrible at Instagram, but these five give you a backstage glimpse at a star's life. @beyonce: The singer's Instagram is largely professional shots of her looking amazing, but every so often she uploads private snapshots. @oprah: Behind-the-scenes shots of Oprah's life--doesn't get much better. @badgirlriri: Rihanna is one of the few stars who uses Instagram to post whatever she damn well pleases. @questlove: From recording studios to performances with The Roots on Late Night with Jimmy Fallon, Questlove's Instagram feed lets you live (vicariously) like a rock star. @kingjames: LeBron James really loves to shoot selfie videos and sneaker shots for Miami Heat fans on Instagram. 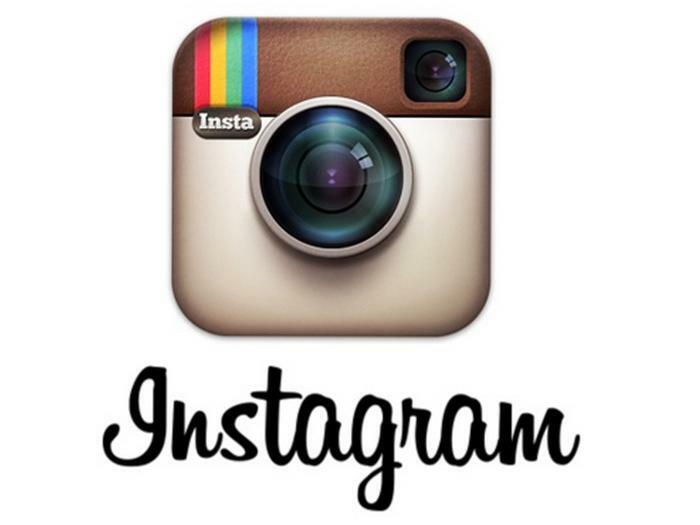 Companies with social media savvy use Instagram to creatively showcase their products. @sfgiants: If you're a San Francisco Giants fan, the team's account is a gold mine of team videos and game photos. @generalelectric: GE's Instagram showcases its research projects. Expect lots of cool turbine shots. @oscarprgirl: Oscar de la Renta, one of the most notable living fashion designers, shows off his world through his stylish spokeswoman. @starbucks: This playful Instagram account features DIY straw art and images of tasty drinks in creative settings. @mtv: Go backstage with your favorite musicians with MTV's official Instagram, which will likely get even more interesting as the Video Music Awards approach. The Internet is no stranger to cute kids and animals, but Instagram's filters elevate them from just plain cute to all-around adorable. @naomipq: San Francisco photographer Naomi Phan-Quang's amazing photos feature some of the cutest kids around. @trotterpup: Instagram foodie @sonyayu gets another shout-out for her French bulldog puppy's account (it's amazing). @dearbeta: Frenchies are clearly just very photogenic animals. @biggie_griffon: Biggie Smalls is a tiny dog with a lot of swagger (and some great facial expressions). @darcytheflyinghedgehog: This Instagram will make you fall in love with hedgehogs. Who knew they were so adorable? Legitimately talented photographers use Instagram as another outlet for their creativity, and you have to wonder how they get such great shots with nothing but an iPhone. @karlthefog: San Francisco's iconic fog comes to life with misty photos and hilarious captions. @alice_gao: New York City looks better than ever as seen through this photographer's iPhone lens. @annstreetstudio: Follow this pair of married photographers (and inventors of the cinemagraph) for photoshoot scenes and outtakes from their adventures. @pketron: Pei Ketron's photos are beautiful and simple (now with video!). @cindyloughridge: San Francisco-based Loughridge offers interesting perspectives with her shots around town. Did we leave out your favorite Instagrammers? Tell us in the comments.